Procorner Professional Coaching Institute provides IT project training in Web Development - Java, PHP, ASP.NET and App Development - Android, iOS with job guarantee. We provide Digital Marketing and YouTube Marketing course. ProCorner is where learners come to learn the skills they need, to land the jobs they want and to build the lives they deserve. 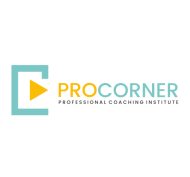 ProCorner Institute aims to be the bridge between students/trainees and employer, by providing the industry standard courses and train students to be ready for the job. The mission of the company is to provide next generation a platform on which they can learn the coding according to industry standards and let them explore the course by doing practical work, which current education system is lacking. After the completion of a course, code standards of each trainee will be analyzed by the experts of relative fields and trainee will be awarded certification, he/she will also get job in various companies. Procorner Institute conducts classes in .Net Training, Angular.JS and C Language. It is located in Vesu, Surat. It takes Regular Classes- at the Institute.